Canadian hydropower is clean, renewable and reliable. Hydropower offers a sustainable and affordable source of electricity. It converts waterpower into electricity at up to 95% efficiency rate, without consuming or depleting water. Hydropower generation can also be turned on or off faster than any other source and allows energy storage, making it the ideal partner to help bring new renewables, such as wind and solar, to the electricity grid. Thanks to hydropower, Canada has one of the cleanest and most renewable electricity systems in the world. Communities and customers across Canada demand clean, renewable, reliable and affordable electricity. 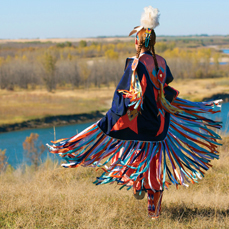 While hydropower delivers and can do even more, one thing is clear: projects must benefit their host communities and respect the rights and interests of Aboriginal people. The hydropower industry devotes significant time and resources to fostering long-term relations with communities where it operates. Hydropower companies make commitments that extend over decades. The benefits that hydropower companies provide are meant to foster community development, create economic opportunities, and provide cultural and social support. Canadian hydropower not only ensures renewable and reliable electricity for Canadians, it can also provide environmental benefits. 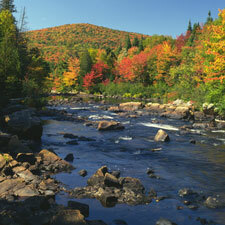 Hydropower produces no air pollutants and has ultra-low greenhouse gas emissions. In fact, Hydropower’s full life cycle greenhouse gas emissions are as low as wind power and in many cases can be even lower. Hydropower can fight climate change while helping Canadians adapt to its effects. Canada’s hydropower industry generates 63% (2013) of Canada’s electricity, providing Canadian households and businesses with a clean, reliable and renewable source of electric power. In addition to the significant environmental benefits associated with hydroelectric power, the industry also generates substantial ongoing contributions to economic activity in the form of Gross Domestic Product and employment. 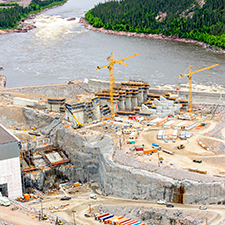 Throughout its 130 year history in Canada, hydropower has helped develop remote regions, attracted industries, stimulated economic growth, nurtured innovation, and created world-class expertise. Hydropower has been and continues to be a driving force for Canada’s economy. Learn more about how hydropower is contributing to economic growth and powering our economy with affordable and stable electricity.